Win a climote this Father’s Day! Are you struggling to move away from the old reliable this Father’s Day? Forget the socks! We have a much better option to keep your Dad’s feet warm! climote are delighted to be giving away a fully installed climote hub with a recommended retail value of €399 incl. VAT. Nominate a Dad (we are not fussy, so it doesn’t have to be your Dad!) who would love to win climote this Father’s Day! It’s simple, enter the competition here! 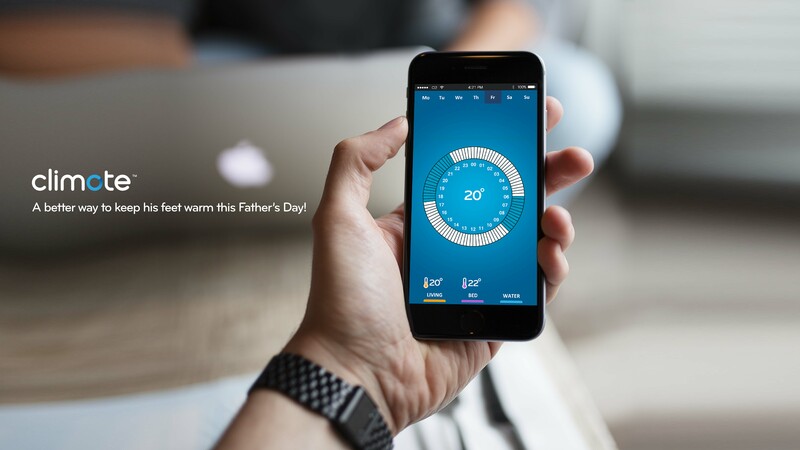 With climote, you can control your home heating from anywhere. Whatever the weather or wherever you are, you can arrive home to a warm house. Whatever way your day works out, you can reset, boost your heating or even turn on your hot water – from anywhere. climote will arrange an endorsed installer to visit your home and in as little as 30 minutes, they’ll have installed your climote HUB and you’re ready to start controlling your home heating from anywhere. And that’s not all! Homes that have a climote installed can save up to 20% on their heating bills. That’s up to €350 for a typical oil heating home, or up to €175 for a typical gas heating home.